about - Segovia Advertising & Design Inc.
With a balance of left and right brain, Robert brings a unique perspective to the Design and Advertising community. With a Bachelor of Science in Molecular Biology from University Of Toronto and an Masters of Fine Art from Concordia University, Robert began his creative career as an Associate Art Professor. After a few years as a working artist/teacher in the contemporary art scene in Montreal and Toronto, he shifted laterally into the commercial side of communication design. Since then, he has worked in Senior Graphic Designer and Creative Director positions at agencies Cineplex, Wolfe, MacLaren McCann and Barrett & Welsh. As Group Design Director at MacLaren, Robert led the largest design studio in North America at the time in building national brands: GM Canada, Toronto Blue Jays, Rogers Communications and others. Along the way, Robert has collected design & industry awards and built a large body of work encompassing a wide variety of brands in many different sectors: Air Miles, Brampton Transit, Brampton Economic Investment, CIBC, Child Development Institute, Goodwill, KFC, Mazda Canada, Nike, Muskoka Township among others. 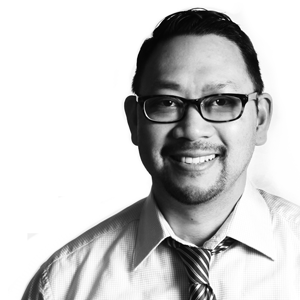 In 2005, Robert founded and currently operates Segovia Advertising & Design Inc. What sets Robert apart is his ability to bring discipline and process fused with creativity and artistry to his clients needs. A true blend of science and art.